Parking management software is used by companies to optimize parking space, manage the influx of cars, and ensure the safety of both cars and people. Parking management software helps companies control access to parking locations, manage multiple types of fees, and process payments. Parking management software integrates with video surveillance software or image capture and recognition solutions. It’s also important for parking management to integrate with software for entry and exit stations, as well as with POS or payment stations. Parking Management reviews by real, verified users. Find unbiased ratings on user satisfaction, features, and price based on the most reviews available anywhere. UNIFI Parking Management Platform is a web based solution fully hosted in a PCI-DSS Level 1 environment. WPS allows you to manage CCTV, payments, parking management and your other systems through a single integrated network. netPark is a cloud hosted point of sale and revenue control system for valet or self park operations. 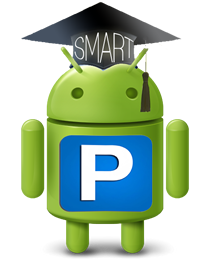 Virtual Manager is a smartphone parking enforcement software, designed for use in Android smartphones. The software is based on License Plate (LP ) recognition principles that enforces "Pay by license Plate" technology. AFAPARK Web is a cross platform compatible local and web-based monitoring software for managin parking facility. Anagog SDK offers Android driving and parking detection. The AutoVu automatic license plate recognition (ALPR) system automates license plate reading and identification. Ballparc is a solution helps to log in from anywhere and view real-time data, make adjustments, and boost the bottom line. BOSSCARS parking management software is designed to streamline your parking operations. Optimises parking and mobility management to increase cost efficiency, the wellbeing of employees and lowers carbon footprint. Welcome to the future of mobility technology and innovation. DIVVY Enterprise is a full service solution which integrates real-time bookings, payments and access so that owners and managers of large parking assets can significantly drive utilisation and a new revenue performance on their parking assets. EASE Parking Lot Management Software is an easy-to-use Windows-based program with point-and-click functionality that allows you to effectively and efficiently manage your parking system. The parking software arrives pre-configured with all lots, lanes, counters, rates, coupons and passes pre-programmed and factory tested. User groups and permissions may be customized for each user with add, delete, edit and/or read permissions for each section of the parking software. AIMS Parking Management Software facilitates parking ticket and permit management. FastTrack is a parking ticket management software solution. GLIDEparcs is built on the removal of all gates from the parking operation - eliminating the source of bottlenecks, expensive upfront setup, and ongoing maintenance costs. GLIDEparcs is an integrated parking management system – collecting low-cost customer feedback in real-time. With GLIDEparcs, 3rd party verification is built into the system. IFNOSS Parking Management System is unified software that is fully integrated with license plate recognition system. iParck Professional Aceess Control Software is a paking database system to help parking facility access. iParq bring officers and staff in a fluid real time communication. Company specializing in the marketing of parking space and box for social housing. 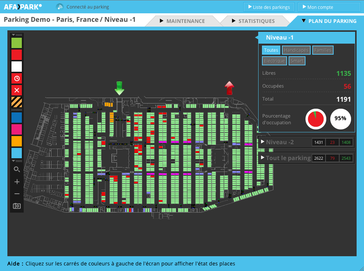 NuPark provides solutions for each major operational segment of the parking market. Senses and processes real-time accurate individual spot availability and shares this data with popular navigation mobile apps (way-finding) or integrates the solution with your custom mobile app to reduce parking stress, traffic congestion and air pollution. OmniPark has been in business since 2008. Our key personnel have over 92 years combined experience in the Parking Management, Enforcement, Asset Management and Revenue Recovery Systems. Our most widely used solution is a first-of-its-kind paperless system designed to alleviate the stresses of parking management within residencies. Valetware is a parking management software that provides check-in and track vehicles and employees while streamlining the customer experience. The OpenSpace solution is the most accurate, simple to install, and cost effective smart parking management system youve ever tried. TAKE COMMAND OF YOUR OPERATIONS! OperationsCommander (OPS-COM) helps to reduce the cost and burden of manual permit administration, violation enforcement, and incident reporting by automating your parking management and generating more income. OPS-COM provides a full service, cloud-based parking and security application that can scale to your operation. View reports on key metrics, including number of vehicles logged, speed of parking and retrieval, hours worked, and a detailed revenue breakdown. You can even request custom reports. PARCS is a web-based hosted software solution is made up of two parts: the administration portal and the customer portal. These are used to help you with your parking operation. IntegraPark delivers the most widely-used accounting and management software solutions for the parking industry. Parkable is a parking management software that the customers only pays for the parking the minute they begin a parking session when they arrive, and end the session when they leave. ParkAdmin is a parking management solution. It sells, tracks, and manages all types of parking permits online. Parkalot is a SaaS platform provider for facility parking management. ParkAlto is a website content management and booking system allowing you to manage and report on all aspects of yur web and social marketing along with a complete valet and parking management system. Parking Boss is a parking management platform for apartments & HOAs. Parking Bosses virtual Attendant allows guests to register their vehicle 24/7 from any connected device in seconds. Parking Cloud is a space management solution powered by IoT infrastructure on Salesforce or SAP platform. ParkLync is a parking management software that helps simplify and automate payments and administration for parkers, tenants and parking companies.ParkLync's features include seamless transactions to make and manage your payments through our secure web or mobile app, real time AR platform to provide a comprehensive reporting accessible through any web enabled device, and account management to view customer access, company utilization and payment history. ParkSol delivers an extensive experience to guide and help businesses to effectively manage their parking lots and property. ParkTech is a parking citation management that provides new and innovative software to perform multiple inquiries and transactions all from the same inquiry/update window. No more digging for coins. This is how parking should be. Rydin is a parking management software solution that helps manage your parking permits, permit distribution, citations, as well as driver and vehicle information. SecurePark makes parking management simple, easy and affordable for anyone. Software solution that offers real-time reservations, rate & inventory management, length-of-stay and yeild management. 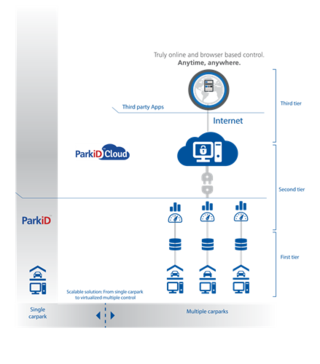 SmartPark, TIBAs highly adaptable management and control solution, leads parking operators toward top-tier operational excellence and revenue performance and growth. Hi there! Can I help you find the best Parking Management solutions?